Do You Over Post Process? I want to share a link, that had me thinking. I have had this discussion the question with several photographers, on how much we should let a computer take over our pictures? The person taking charge of the computer in post processing is you, like me, but reading this article, I do believe we should not go overboard when using the computer to enhance our photographs. This is my opinion only. Photographers use their skill is in using the camera to record an image that they see. Just a thought and this is open to discussion, so please add your comments as I think this may be a good debate. I have not been lazy over the last few days. What I have been doing is my first job, well maybe second job. Anyways, I have been to Vietnam with a squad of students (read my about), I am a PE teacher and on occasion I take our sports teams to competition throughout South East Asian. So there is the reason. But back now to inject pictures and words. I have been on the street with my camera for near on three years and in that time I have experiment with both color and B&W. I have come to the conclusion, does it matter? To many the answer maybe “yes” to other it maybe “no”. What does matter is what is in the picture. Joel Meyerowitz works now only color for his street photography. There is always going to be a debate as to which is true street photography. 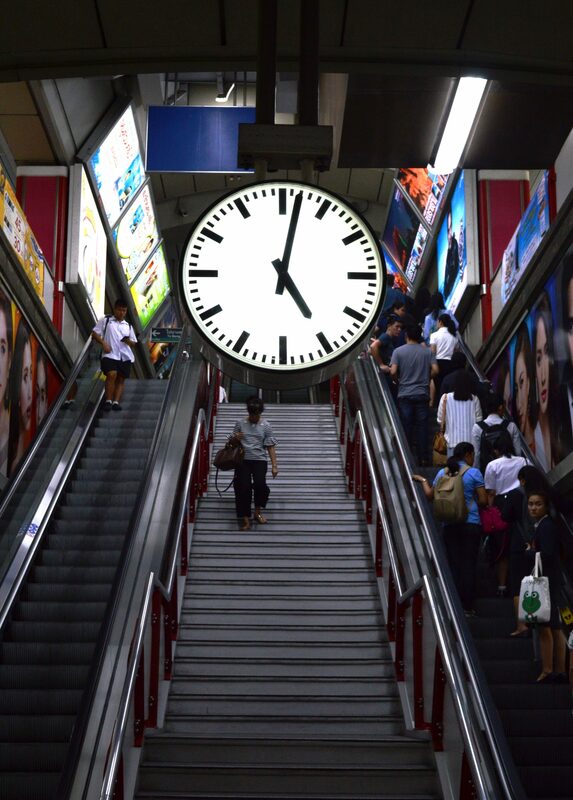 Check out the article digital-photography-school for further insight. Still for me both, I honestly don’t care as long as I have the picture. 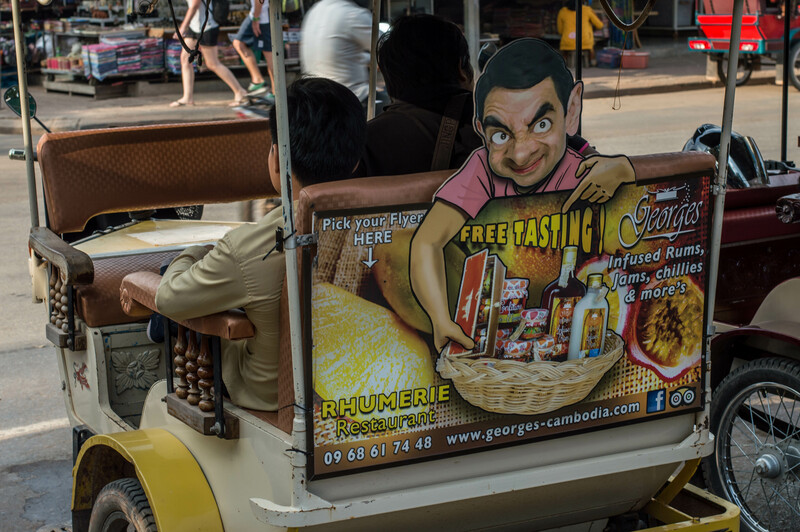 Mr. Bean advertising on the back of a Siem Reap,Cambodian Tuk Tuk. 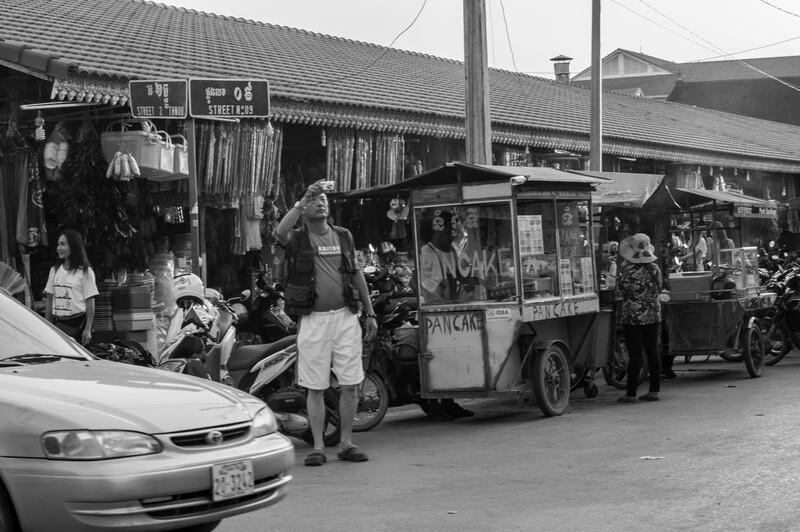 Saw this lady walking around the streets of Siem Reap with her camera. Of course you know a street photographer. Their eyes do not look at one place. Their head is on a swivel, checking out their next capture. How do I know? I am one of the same. But in this case, I just waited until the street photographer put her feet into the fish tank for a foot massage. Then I clicked the shutter. Patience is the game of the Street Photographer. Well that is my philosophy. 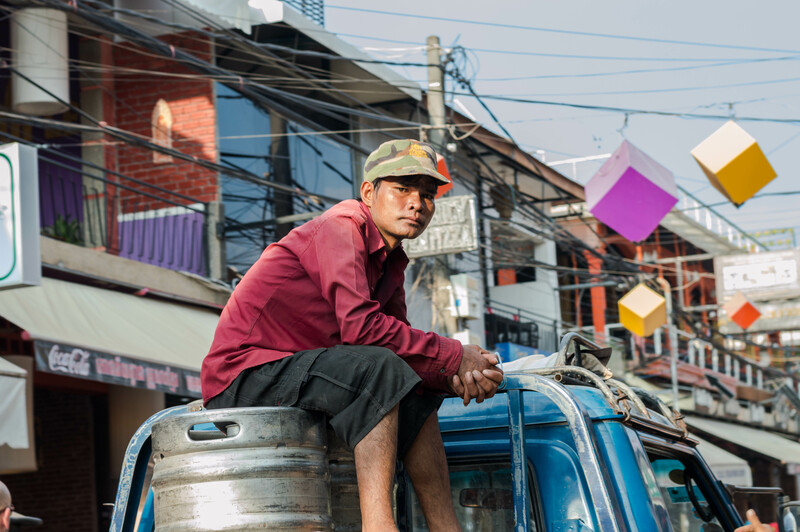 And the next picture of the motorcycle rider near the street photographer.